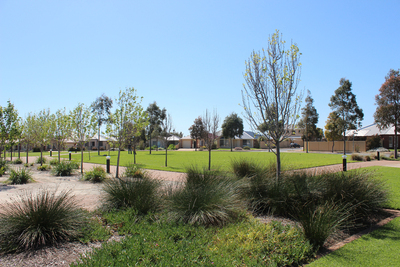 Nautical Circuit Park is just off of Seaford Road, not too far from the Seaford Shops and near the newer Seaford Meadows Development. 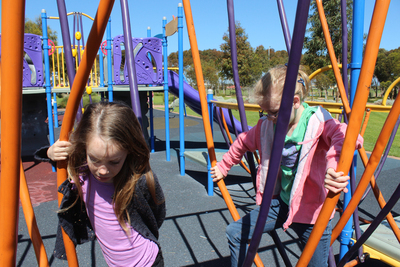 There's a playground as well as several divided grassy areas and plenty of space to play. 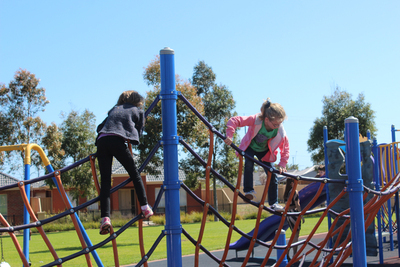 The best bit about the playground would have to be the climbing frames. 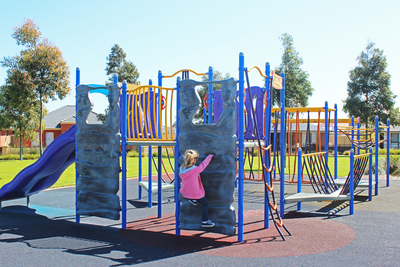 There are two small climbing walls, as well as a climbing web, monkey bars, and a climbing rope. 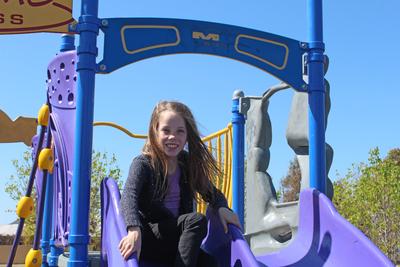 They offer a little bit of a challenge and variety to older kids using the playground. We brought them the eight-year-old and the twelve-year-old along to road test all the equipment. They both remarked at how "smooth" the flying fox was compared to the one at Goodwood Oval. Nautical Circuit Park certainly has the benefit of having new equipment that's still in great condition. They also both really enjoyed the rope bridge. 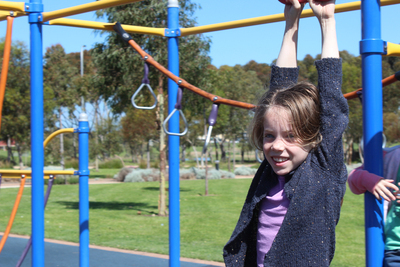 Nautical Circuit isn't their favourite park in the area, but it got the thumbs up because it's got some interesting equipment that can entertain older kids. The park still has plenty for younger kids. They might find some of the equipment a bit difficult, but they'll be able to enjoy traditional things like swings and slides. The rest of the park is split into several grassy areas surrounded by small trees. They're good spots of setting up a picnic or playing with a footy or a frisbee. You always have a good view of the playground, so it's possible to find somewhere to sit down and relax while the kids enjoy the playground. There's also a shaded area with tables and chairs, but the park lacks other amenities like toilets or barbecues. The playground is best suited to kids between five and ten, but with clean open spaces kids of any age will be able to make their own fun. Where is Adelaide's Best Climbing Tree?